I have Google alerts setup for almost every keyword set that comes along with anything flower crown, crown or veil. It is so fun to see ideas and all the cool looks that brides to be and bride tribes come up with. 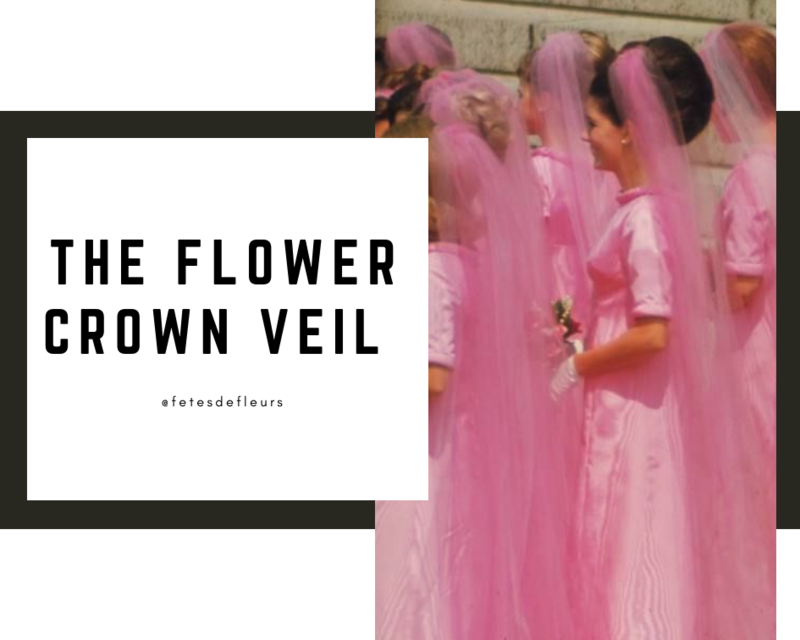 One that has been making a come back is the bridal veil for bachelorette parties. There is a fun twist we are seeing which is adding a veil to the flower crown.